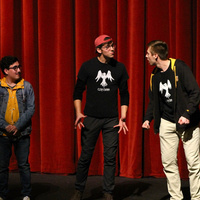 Come join the Clay Crows for their weekly improv workshop at 5:45 PM in the Studio Black Box Theater! No experience required! Every week is a new start and a new skill.